The American song-writer and performer John Mаyer is well-known not only for his solid pop rock songs, among which there are true radio-hits, but also for his burning desire to evolve and seek new types of his own sounding. The stylistic directions of his music changed almost every time he produced a new album; and now the musician seems focused on playing blues-rock. This is the kind of music you will hear on his latest studio effort under the puzzling title Battle Studies. The artist spent some six months to pen new material while the most of the work on the album was done right in his home in California. Looking at the title of this labor, you might wonder if warfare is the main subject of Mayer’s new album. Well, it partially is, and, again, not. He will not speak here about cannons, tanks and piles of corpses. War here is what tales place the heart of anyone who is (un? )happy to fall in love. It just could be, that the musician took up such an idea after some particular events in his own private life. It is not easy to know for sure. 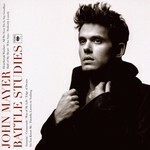 But, definitely, Battle Studies will convince you that John Mayer remains an original and talented performer. As a matter of fact, you will get the idea what John Mayer is about to sing on this album pretty easily. It is sufficient to try the first track that is called Heartbreak Warfare. Here you got both romantic affairs and military affairs. You will follow this combination right through the whole of Battle Studies. Even the titles of some tracks outline this concept, for instance, War of My Life. The composition with the most ominous title, Assassin, looks to be selected as the main hit of the album here. It strikes with the most proficient guitars and interesting background effects. Of special attention is the track Half Of My Heart performed in duet with Taylor Swift. That is the lady who sure can steal half of any man’s heart. The music core of Battle Studies is again John Mayer’s guitar performance as he knows perfectly how to reach souls of his listeners with solos. From time to time, the musician affords himself and his helpers-instrumentalists to step into other genres. For this reason, the final track, Friends, Lovers or Nothing, you will hear a beautiful and profound piano passage, an allusion to Elton John’s early years. Cross Road Blues features Mаyer and his colleagues playing something funk-based and similar to Stevie Wonder. This is not aimed at breaking the stylistic integrity of the record, but serves to diversify the music material of Battle Studies. You can agree or argue that love ignites a bitter war conflict in a human heart. You may be a death-metal fan without a minor idea of what blues-rock is. Yet you can not lie to yourself saying that there is nothing to hear in John Mayer’s new album. One has to be totally deaf and insensitive to miss here a soul’s cry, to miss here a story, might be, an autobiographical one, about something that sooner or later happens to every one of us. When a song features instruments sounding as one, when the words seem not just pronounced, but released from the bottom of the heart, the music preferences are no longer important. You go deep into this music, you dwell there; and when the bell clock strikes the time to leave this place, you want to start this journey all over again. How good it is that John Mayer is still young, and his enthusiasm alongside the desire to work, create and research will not let him fool around idly. So, there are going to be many more journeys.